By voice vote, the proposed amendment to the Policies and Procedures was unanimously passed by the membership. That amendment states: “Each member is responsible for the cost of a minimum of 12 meals/administrative year regardless of attendance (pro-rated for new members). 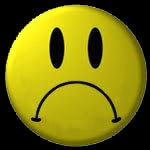 To read a complete copy of the Policies and Procedures of the Laconia Kiwanis Club, dated 12/12/11, “click” here. 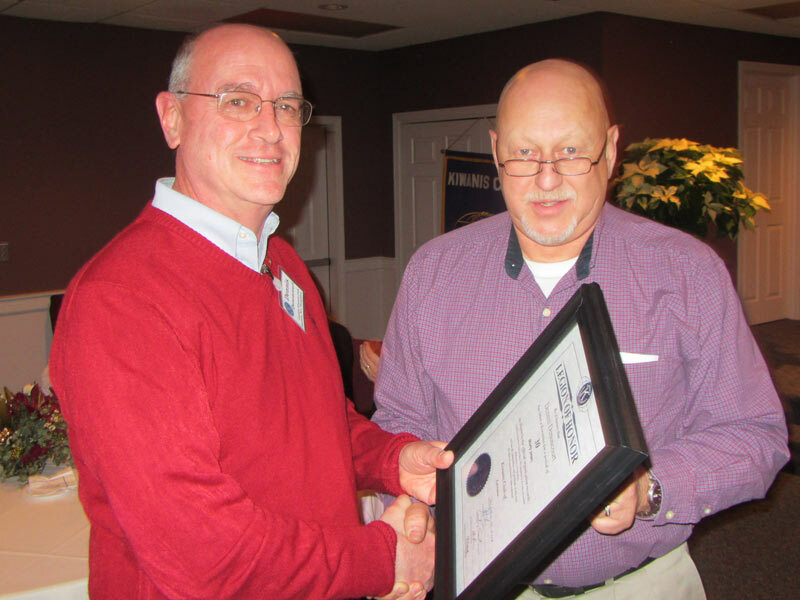 President Roger presented past president Dennis Denoncourt with his Legion of Honor plaque. 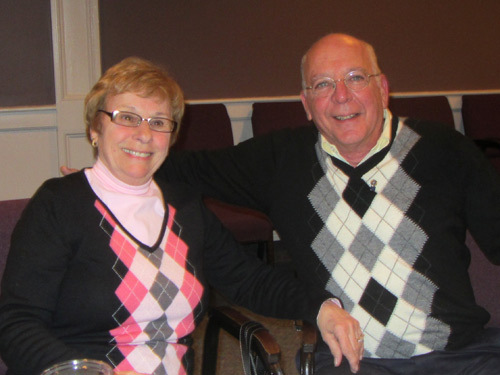 Dennis has been a member of the Laconia club for 30 years. 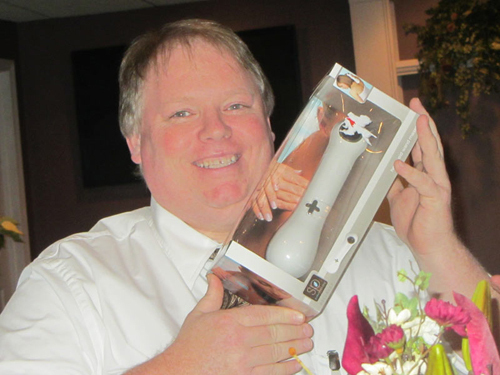 Approximately 34 participated in this year's Yankee Swap. As usual, the most popular gifts changing hands frequently were various bottles of spirits. However, the most unique gift that past over at least four heads was the animated glowing Santa cap. 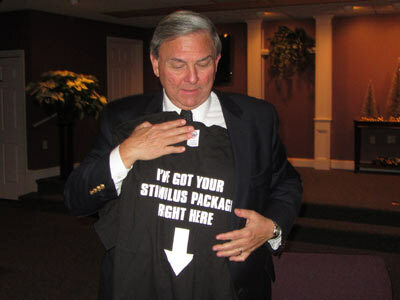 Russ Beane and Brian Winslow ended up with the most "stimulating" gifts. 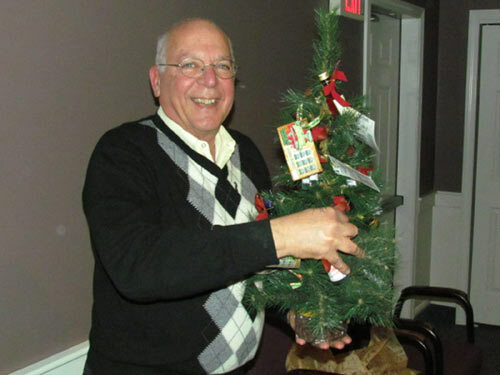 Although Joe Adrignola was disappointed there was no 50 50 this week, he was successful in drawing #1 in the swap. 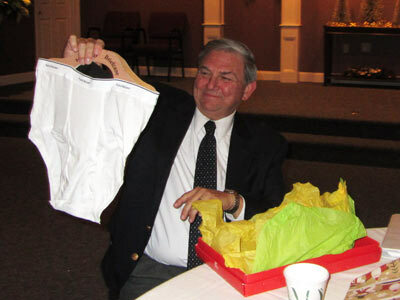 As such, he had the final selection of all the gifts. Joe picked the little Christmas tree with little bottles of spirits. 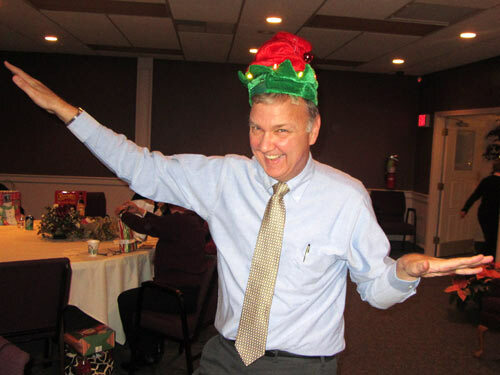 Carroll Stafford enjoys his brief moment with the Santa hat. 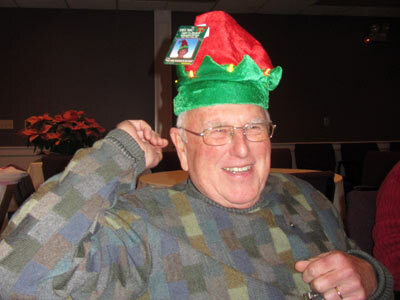 Would you buy a used car from this elf? Steve Loughlin was delighted to retain possession of the Santa cap. Russ Beane ended up with the Hillbilly Briefcase. 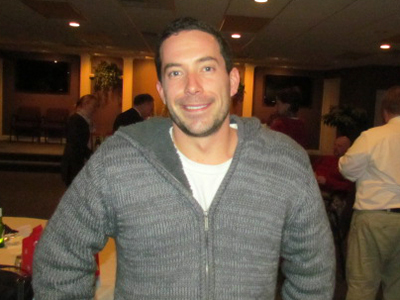 Despite his efforts to trade, Brian Winslow retained ownership of this unique stimulator. 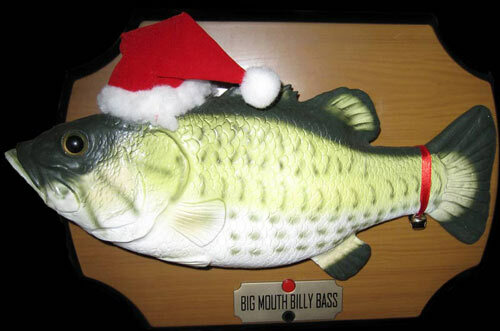 After showing up for many years as a regular guest, Billy Bass failed to make an appearance at this year's Yankee Swap. 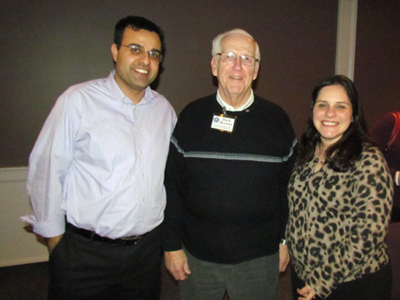 Tonight's meeting was adjourned at 8:13 pm. The Laconia Kiwanis Club is scheduled to ring the bell for the Salvation Army in downtown Laconia on Friday, December 23rd. 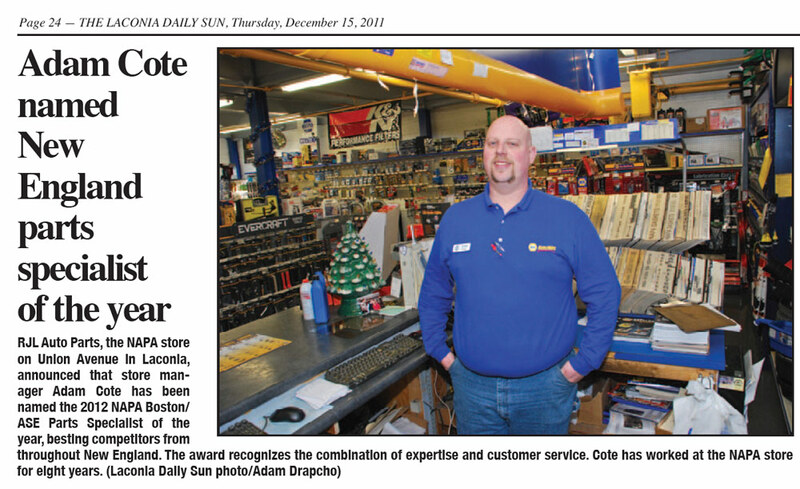 Congratulations to Kiwanian Adam Cote who was recently named the 2012 NAPA Boston/ASE Parts Specialist of the year. 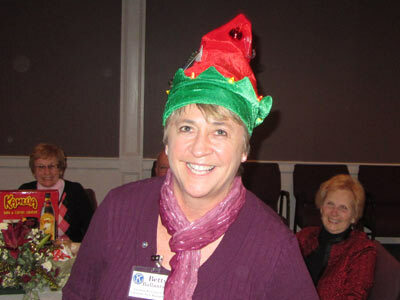 To read details and the story that appeared in the Laconia Daily Sun on 12/15/11 "click" here. Ring the Bell for the Salvation Army - downtown Laconia.